I bloody love this time of year. All my favourite spices are out in force, and even savoury food has a sweet edge. Dishes are warming, filling and above all, comforting. There's nothing worse than soggy packet stuffing filled out with dried herbs and breadcrumbs. This is a recipe inspired by Nigella, the goddess of festive cookery. 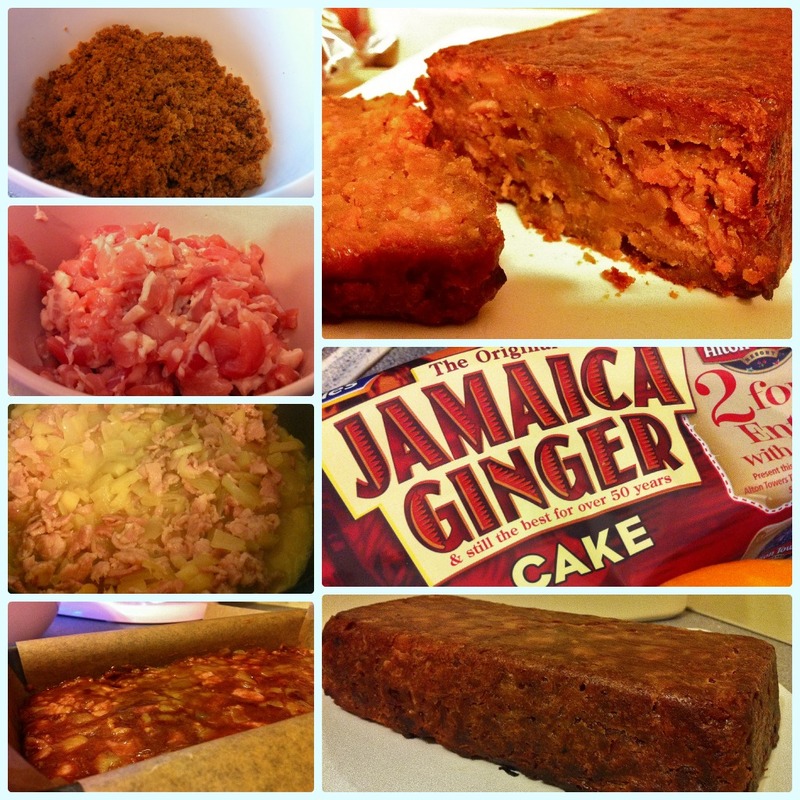 I use Jamaica Ginger Cake in mine, mainly because I think it has the perfect texture for stuffing. It crumbles well but also has a sticky exterior. In my opinion, nothing compares! This bad boy is jam packed with flavour, texture and a little bit of joy! It can be used to stuff your bird, but I prefer to make it in a loaf tin then serve in chunks with festive ham. Line a 2lb loaf tin with greaseproof paper. Heat the oil and butter in a large pan and soften the onion and apple over a low heat for about 10 minutes (pop a lid on). Add the bacon pieces and cook on a medium heat for about 5 minutes. Take the pan off the heat and leave with the lid off for about 10 minutes. Add the crumbled gingerbread, zest, pepper and spices and stir well. Stir in the egg. This is why it needs to be a bit cooler... no-one likes scrambled egg in their stuffing! Pack the mix into the loaf tin and cook in the centre of the oven on gas 7/220 C for 40 minutes.